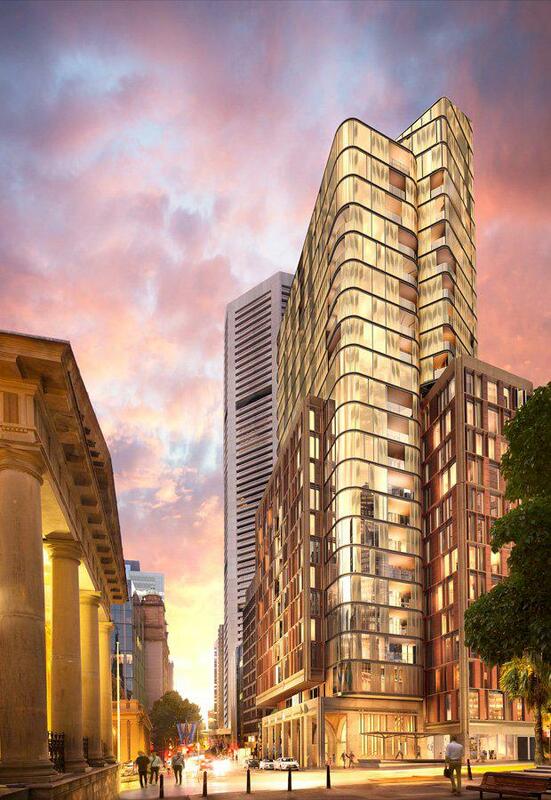 First impressions of the soon to be launched 26-floor King and Phillip building in the heart of Sydney’s legal precinct have been released. A collaboration between real estate funds manager The Galileo Group and development partner Industry Superannuation Property Trust, the $320 million apartment project will have its sales launch in September. 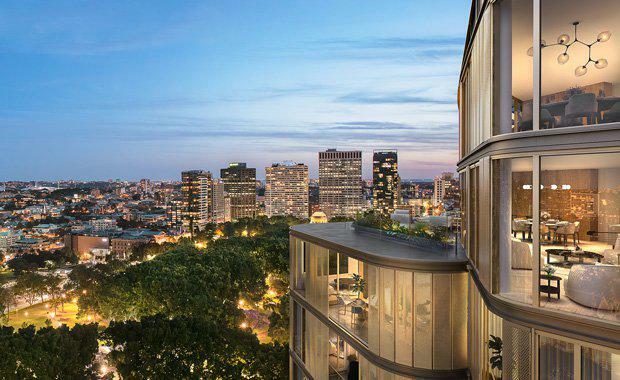 The site is located at the intersection of King, Phillip and Elizabeth Streets, set amongst an iconic Sydney heritage precinct (St James Church, Supreme Court Building, Hyde Park Barracks and St Mary's Cathedral) with sweeping views across Hyde Park. The Francis-Jones Morehen Thorp-designed project is a redevelopment of Sydney's former law campus at St James. 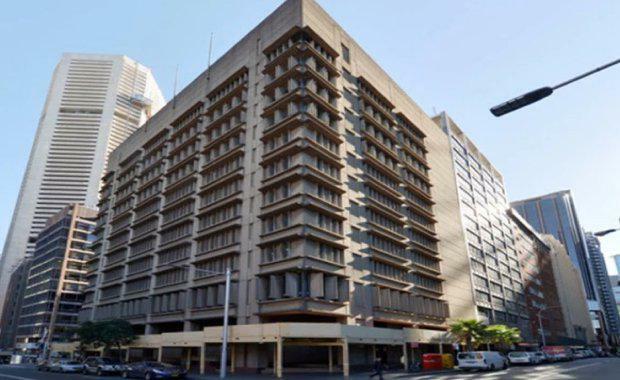 The brutalist-style 1970s former law campus building to be demolishedThe site was acquired in 2015 for about $45 million and following Stage 1 DA approval in December 2015 a competitive design process was undertaken in 2016 with the successful design by FJMT chosen by the selection panel. The 92-metre high building will consist of 104 apartments across 34 configurations. There will be five penthouses. The site bounded by Phillip, King and Elizabeth Streets was home to Sydney Law School until 2009 in a 1970s campus-style building. Construction will start later in 2017 with completion expected in 2020.